On-line training industry has begun to view the e-Learning environment as a self-sustaining environment that provides learners with the tools and surroundings they need to achieve their learning objectives. In many respects, an e-Learning environment is very similar to a scientifically-based environment. Science defines an ecosystem as being a community where organisms interact with one another and with their physical environment. Every organism has a role to fulfil and there must be a harmonious balance between all aspects of the ecosystem in order for the organisms to flourish and evolve. 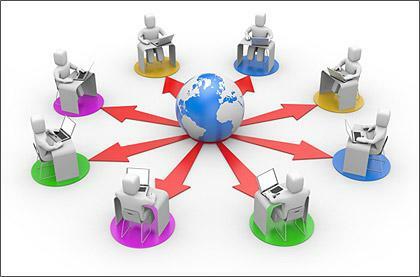 In the world of on-line training, an e-Learning ecosystem is an e-Learning environment wherein educational technologies, authoring tools, and resources are all present, for the sole purpose of instilling knowledge and developing skills for all learners within the e-Learning setting. Every member of the e-Learning environment must contribute and participate in order for all learners to get the most benefit, just as every learner must utilize the resources available to achieve goals and objectives. For an e-Learning ecosystem to be successful, all participants must be empowered to learn and feel as though they are part of the overall ecosystem. In other words, learners will only acquire knowledge and fulfil their role within the ecosystem if they choose to do so.